WILL present MidSummer Night’s Dream at Dover Community Park on July 19. ﻿Camp will take place July 8-19 at North Salem Elementary school and Dover community park. Registration is live now! Reserve your spot today by clicking the link below! The DYSA is an educational program presented by the OrangeMite Shakespeare Company is open to students in 4th through 8th grade. The program seeks to support academic achievement, ignite passion and creativity, and enhance the self-esteem of the participants in the program through active engagement in the dramatic works of William Shakespeare. 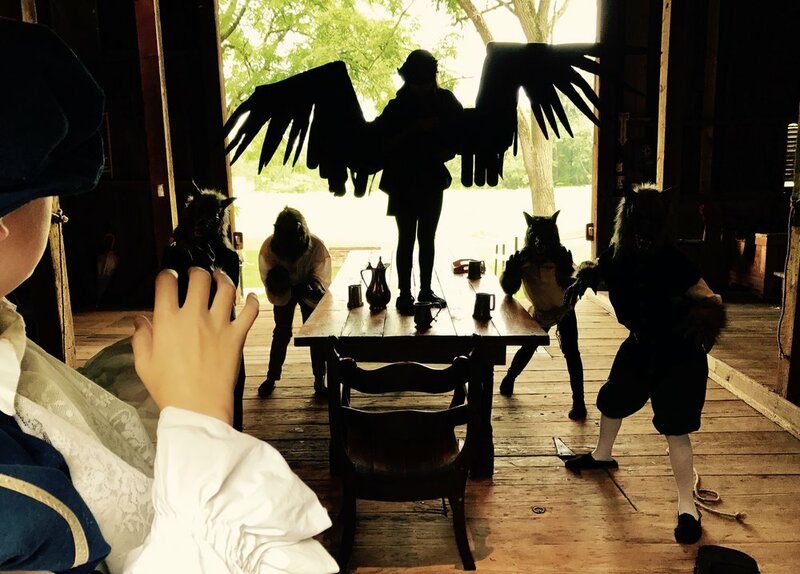 The program will run for two weeks over the summer from June 18th through June 29th at Weigelstown Elementary, with public performances in OrangeMite's Elizabethan Theatre, The Barn at Tall Fir Acres on June 29th and 30th. At the end of the program, participants will deliver a dramatic performance of The Comedy of Errors to an audience of family and community members, demonstrating one facet of improved fluency, comprehension, and creative skills. Tuition this year will $125 for two weeks of education and fun. Registration opens March 1st and closes June 15th; Register as soon as possible, space is limited. Kinesthetic Movement - This comedy allows for ample action in the form of physical comedy, such as fights between characters, which allow participants to kinesthetically experience the production without having to immediately learn lines. There are also opportunities for dancing and singing in this production. This gives individuals who learn in a more hands-on manner the chance to start right away. Choreography also presents students with another key aspect of live theatre. Crafts and Design – Many students and parents cited the value of making their own props during the program this year. Students worked exceptionally hard to make their props relate directly to the character they were portraying on the stage. Participants enjoyed painting and molding the food and plates for the banquet scenes and the nymphs enjoyed creating their own wands, which they used quite frequently throughout the production. This show will allow for similar design opportunity, and presenting the chance to expand upon their existing abilities. For more information check out this feature by the York Daily Record.